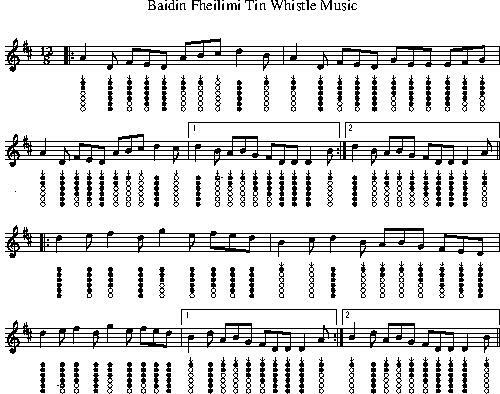 Baidin Fheilimi tin whistle sheet music notes. A traditional Irish tune recorded by Sinead O'Conner. The letter notes are included for those are learning how to play the whistle and don't yet read music. 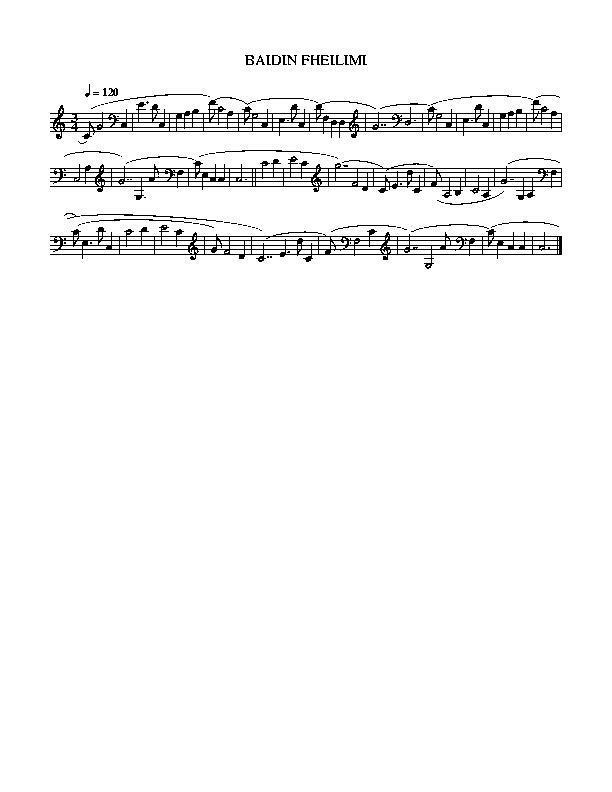 Baidin Fheilimi Notes as played by Jean on the youtube video lesson. Jean plays two different whistles, one in the key of D and the other version is on a C whistle.